Since ten years, VE has implemented the use of a tool which is strategic in dealing with automation and machine vision problems. In analyzing problems of different fields, we understood that to obtain best performances, low costs and a maximum level of innovation you don’t need a deeply experience in the sector but a strong analysis method allowing you to correctly define the problem. Frequently, you waste your time in correcting errors concerning initial evaluations, instead of concentrating on really good solutions, well estimated and obtained through the application of efficient methods. Widespread approach: product rapidly, without examine in depth client’s problems and requests, analyze only the given specifications, focusing on the low price instead of aiming at a high performance/cost match. VE refuses this approach since it has set up its work methodology in full compliance with systematic innovation. 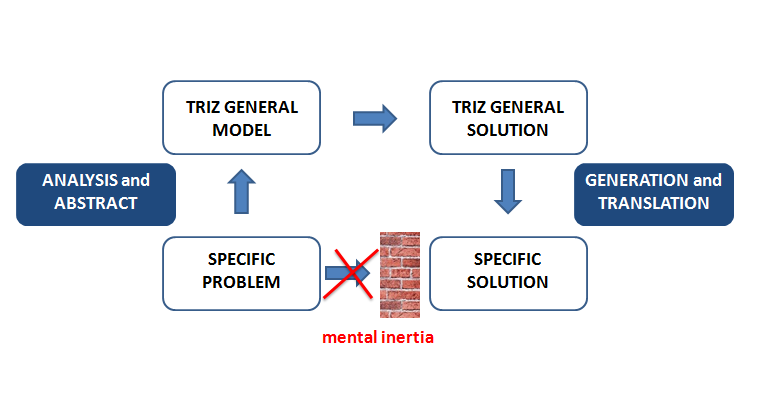 TRIZ is the acronym of the Russian “Teoriya Resheniya Izobreatatelskikh Zadatch”, literally Theory of the resolution of invention-related tasks (Genrich S. Altshuller ). It consists in a theory and, at the same time, a set of tools developed to organize in a scientific and systematic way the creative process. A really invention theory ( Systematic Innovation ). Through this methodology VE managed to reach high levels of efficiency, especially when clients’ issues were complex and, apparently, unsolvable. Each time the client has been able to perceive the potential and let us analyze his problem, the match between the study’s cost and the direct result in terms of savings has always been bigger than 1 to 10. The application of the TRIZ methodology has become a natural consequence of the consultancy and training activities done in the years, letting us deal with complex problems otherwise insurmountable or realizable only with a large resource waste from us and the client. Updated on 2015-05-07T08:33:13+00:00, by VE.